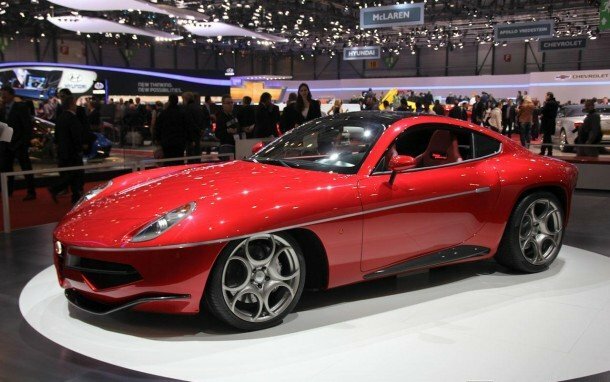 Touring Superleggera, an Italian coachbuilder, has received approval from Alfa Romeo to produce the Disco Volante. Stemming from its concept form, the Disco Volante is inspired by the 1952 C52 Disco Volante and was initially a project to celebrate the car’s 60th anniversary in 2012. The production will be an ultra-limited, on-demand build that would take about 6 months and roughly £350,000. On top of that, those wishing for this stunning coupe must supply an Alfa Romeo 8C Competizione, the car which the new Disco Volante is based on. Touring Superleggera who had designed the 1900 C52 in 1952 will keep the 8C’s chassis as a base and then construct a carbon fiber and aluminium body. To assemble the body, the company will use a laser measurement platform and jig which is then fitted for trim and brightware. The car will retain the Ferrari 450-hp 4.7-liter V-8 engine from the 8C which is teamed to a six-speed sequential automatic gearbox, sending power to the rears. This two-seater car is estimated to reach 60 miles per hour from standing in only 4.2 seconds, and has a top speed of 180 mph. Touring Superleggera has said this was due to custom creation and some tweaking, just what they do best. Although not the most economical of cars at 12 mpg, the Disco Volante will be on the lists of many due to its splendor. On the interior, the Disco Volante has a very science fiction feel to it. The dashboard of knobs and buttons with red LED lights almost gives a spaceship feel to the car. 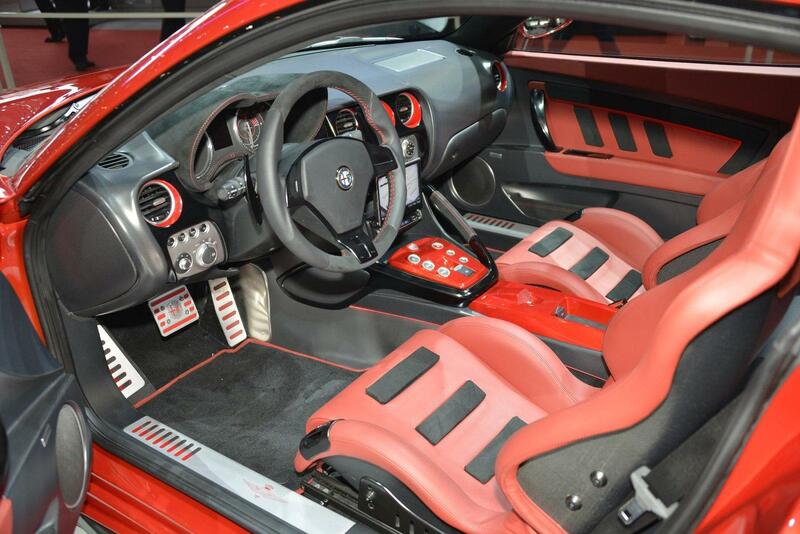 There is also a lot of leather used in the car, allowing buyers to customize and personalize the interior according to personal preferences. “We could not dilute the Disco Volante spirit,” head of design Louis de Fabribeckers said. “We had to widen the front section over an originally very wide front track to keep enough tyre clearance. It is a matter of proportions and volumes, and the right compromise had to be found.” We have yet to know how many of these beasts Touring Superleggera will produce but it does seem that there will only be very few of them, maybe even in the single digits. Next article#TwitterIPO: How will Twitter make more money to justify its $10Billion valuation?